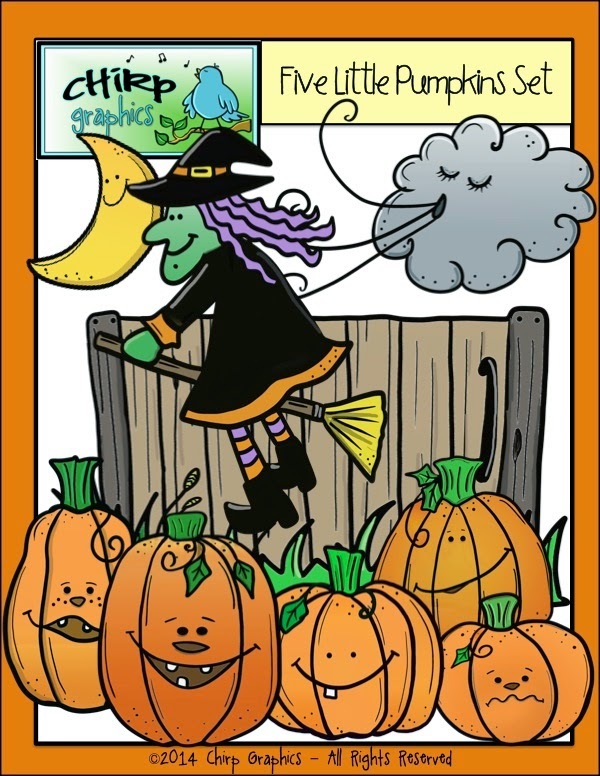 Halloween is almost here say, "Hurray!" These are the final lines to the song I taught the kids at circle time today. This tune has been running through my head all day. Against my will! I think I love this one so much because it was a part of my own childhood! And even though it's been around forever, most of my little students have not heard it before. 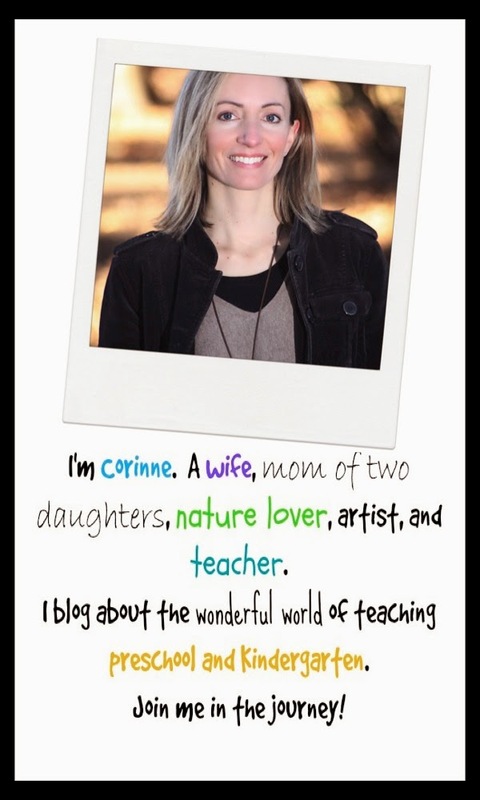 That's one of the bonuses of teaching preschool! We are the first to introduce the children to all of the old favourites! Sometimes I perform this song using magnet or felt/board images like the ones I created for my clip art shop below. 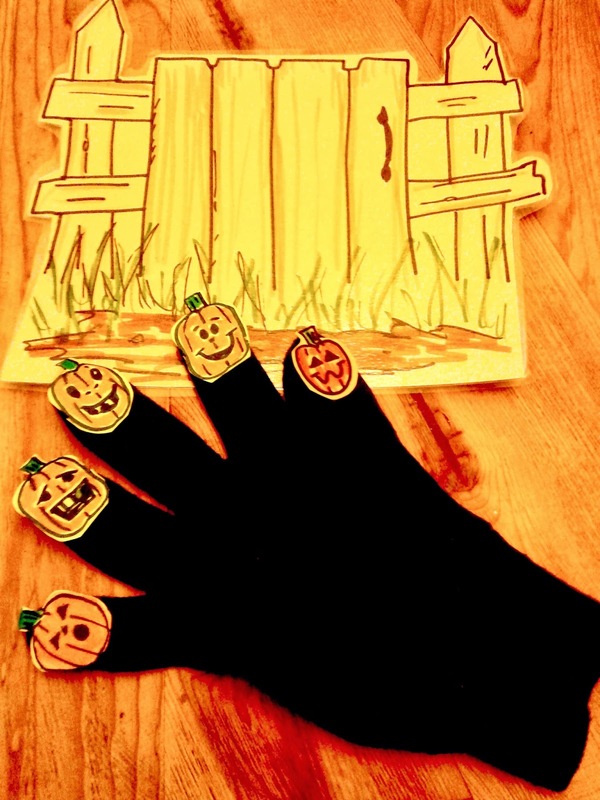 I found an old black glove and I just glued a little pumpkin image to each finger. Sometimes I use the gate that you see in the image, too, but most of the time I just use the glove by itself. One less thing to hold! and the second time with everyone standing up and doing the actions with me on a bigger scale. 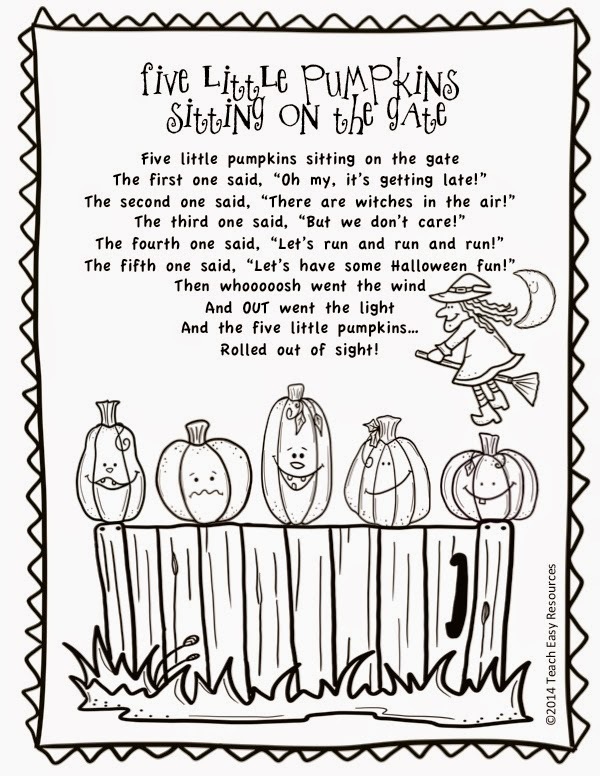 This year I also made a printable of this poem with images that the children can colour. I love using printables like this because they remind and encourage students to perform the song for their parents or siblings at home. And although my students can't read the words, their parents can assist them if they'd like help remembering some of the lines. Hope you're enjoying the Halloween countdown, too! Check them out for more ideas!